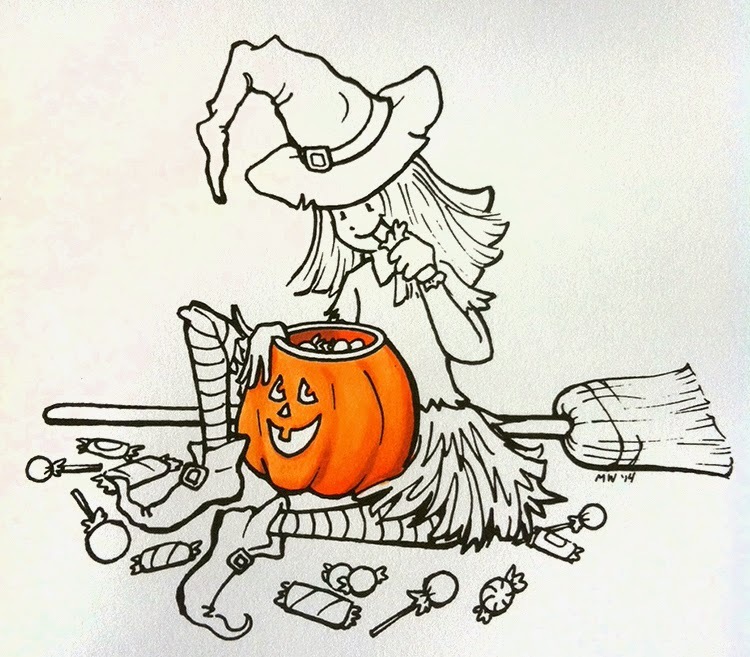 Today, as promised, I'm sharing a few of my in-progress coloring steps for the cute witch free image I shared yesterday. I actually started by grabbing a random color from my bowl of markers and it happened to be orange, so I ran with it. 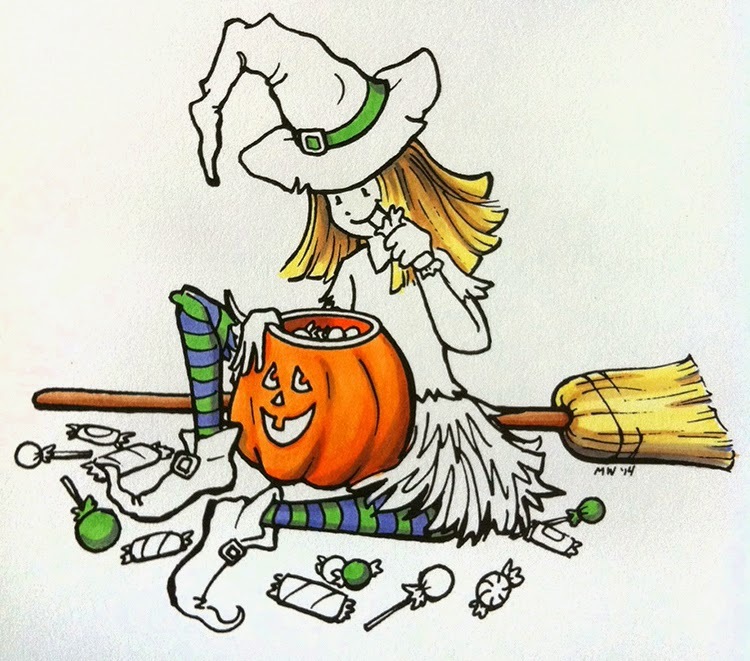 Usually I begin by coloring the most difficult part of an image first, but in this case, the pumpkin is the focal point of the whole picture, so it was fun coloring that first. The pumpkin is colored with a base of YR14, a shadow of YR68, and deepest shadow of E39. Why did I shade it with brown? Well, when you darken orange and make it less warm (as happens in shadows,) then orange quickly turns brownish. Always go back and blend with the lighter of the colors. So, blend E49 with YR68 and blend YR68 with the YR14. Next I colored the broom handle with E34 and E39. 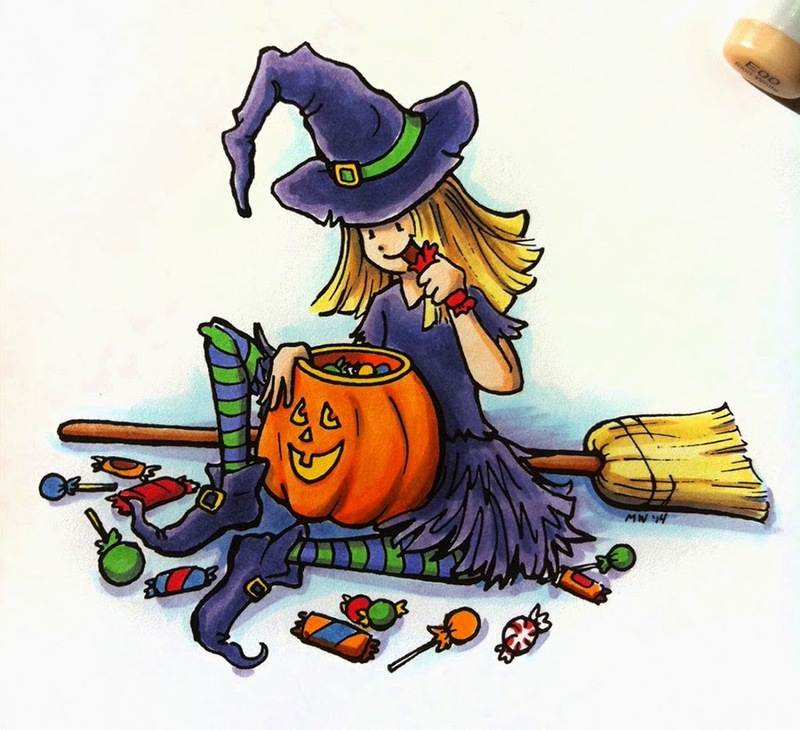 I colored her hair and the straw on the broom with a base of Y11. I layered on some E31 and darkened it with streaks of E34. I colored her hat band and stripes with G14 and BV13. Then, I shadowed her legs with a single streak of BV13. I also added a hint of the BV11 in the shadows on her hair and broom. Why purple shadows? Because it looks OK, and then I don't need another shade of green on the leggings. I colored her dress and hat in blends of BV11, BV13, and BV17. I like the cute purple witch outfits, as the black/gray dresses and hats just get so dark. 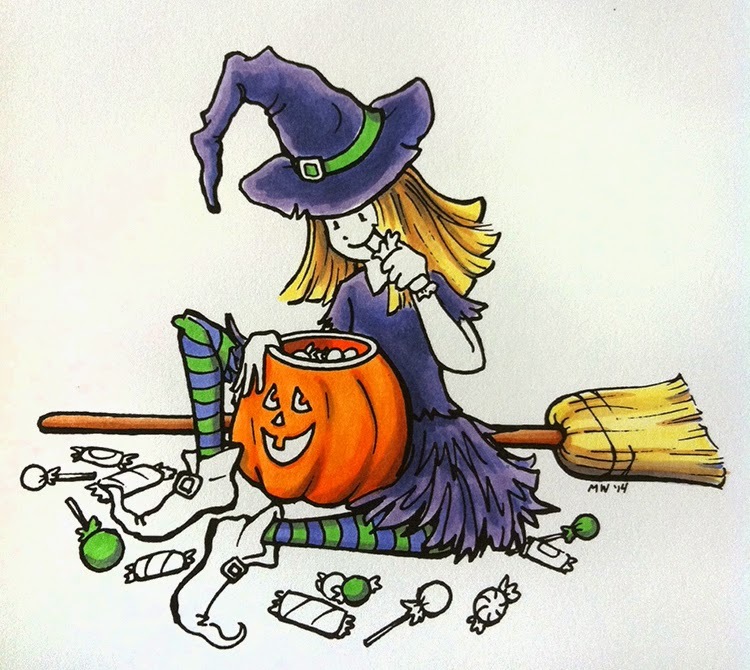 I wanted this to be a cute, innocent little witch chowing on her stash of candy. I wanted her boots to be a slightly darker purple, so I omitted the BV13, and left a very light highlight of BV11 with the darker BV17. If you want them to look shiny, then leave your highlights white (or add white back in with a faint touch of Copic Opaque White). Next I added E00 on her skin. I also grabbed a handful of random, bright colors and colored all the candies. B34, R27, Y08, YR68, G14, I think are all that I used. Don't forget the candies inside the tub! I added shadows with the BV13 in many instances. I finished up the illustration by adding shadows on her skin with E21 and BV11. I colored the buckles with Y08. I shadowed the ground around her with deepest shadows of B34, then BV11, and blended those out with a soft layer of BG000. 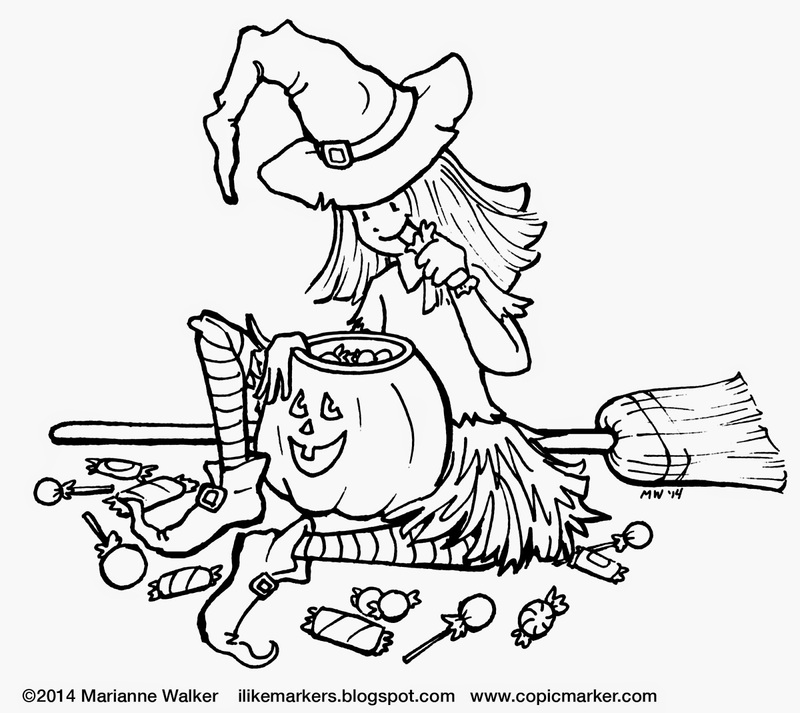 I hope you have as much fun coloring this cute little witch as I did! Coloring always seems to make me feel better (candy is pretty yummy too) so if you've had a rough day, I encourage you to just sit down and color. Or, if someone is stressing you out, get them to sit down and color as well...that should help them relax as well. 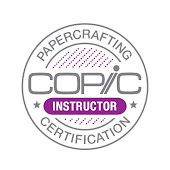 If you are in the Portland, OR area, I hope to see you at my coloring workshops at Main Street Stamping and Stationary tomorrow. Have a great weekend! Ooooooohhh! It's Fall!! I love drawing Fall pictures. 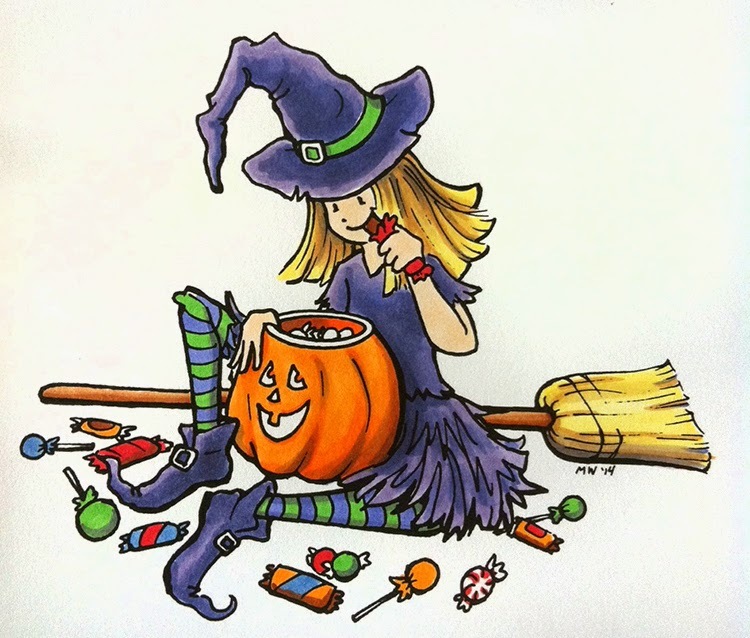 And I love sweets, so what's better in life than to sit down and color a sweet little Halloween picture that I just drew? Actually, I drew a picture because of guilt. Nancy reminded me that I haven't updated my blog in a month. Sorry!! So, here is a free digi image to keep you happy for now, and then tomorrow I'll post the full tutorial. So, click on the outline image, save it to your computer, and have fun coloring! (For personal use only. You can refer people to my blog for the full tutorial if they are interested in where you got it). Consider it my little gift to you for enduring my laziness in blogging. Make a cute card from the image, color it to hang it on your fridge, give it to your kids...just make sure you share the smiles. Smiles you don't share with others are wasted opportunities. Meanwhile, the year is winding to a close and we only have a few more classes left to register for. 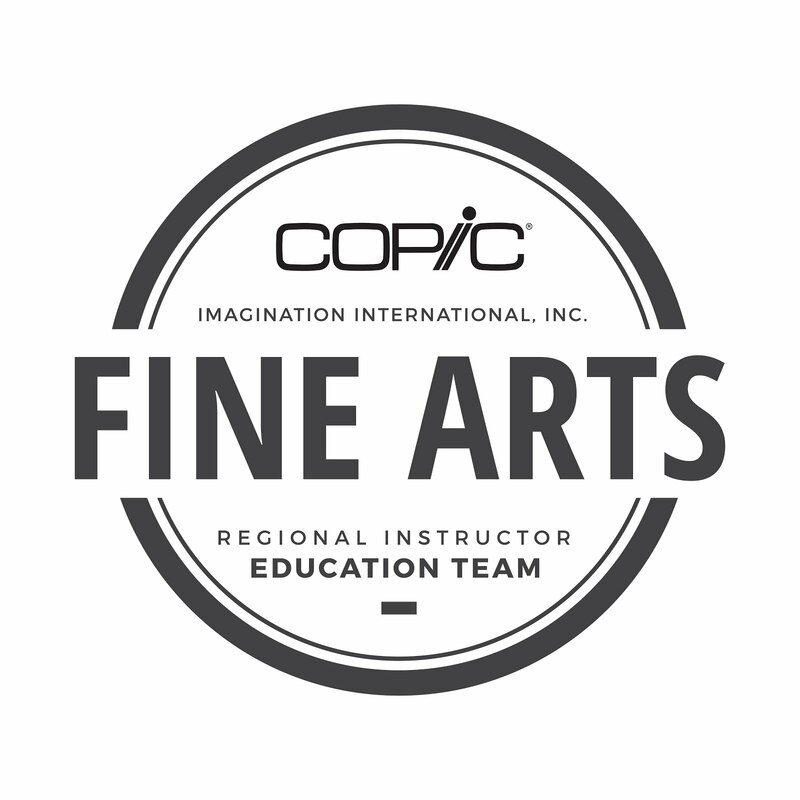 Next year we are going to fewer locations, so if you see a class near you, sign up! If classes don't fill, we aren't likely to head back to that area. 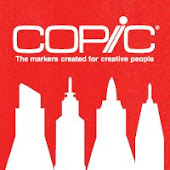 You can visit the Copic website for registration and class details.